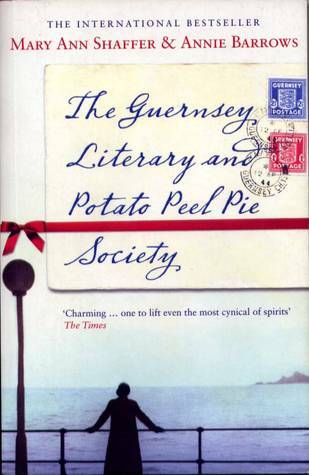 I enjoyed The Guernsey Literary and Potato Peel Pie Society and 84 Charing Cross Road. I’ve watched the movie adaptation of both, too. Was a bit disappointed with the Guersey movie in so far as it left out one of my favourite characters and scenes. And some of the laughs and strife. But the book is almost always better, more complex, as readers know. The Power by Naomi Alderman - This book, when looking on slightly deeply, really focuses on the fear of women in charge, as well as the fear of minorities (like the few men with skeins) in charge. The Power really digs into the political and social aspects of our current culture, and for examining how power corrupts. Really good book! I'm hoping for Simon vs. The Homo Sapiens Agenda, personally. This is an important book and really reflective of our time period, so I hope it ends up a classic. I believe Homegoing by Yaa Gyasi will be a classic.It really is great original storytelling that tells an important story in a new way & from the most important perspective. It is a book all should read. I'm really hoping that Strange the Dreamer duology by Laini Taylor is going to be remembered. It's so unique and beautifully written! I've never read anything like it. On a weirder note I really feel that House of Leaves by Mark Z. Danielewski is going to be remembered. I have a huge love for Circe by Madeline Miller and I hope that people are still reading it generations from now. Another one I'd love to see people figuring out for years is Lincoln in the Bardo by George Saunders. One that I'm certain *will* be a classic (and deservedly so) is Citizen by Claudia Rankine. EVERYONE should read that book. Thanks for a fun mini-challenge! I’d second both Circe and Homegoing but add either of Jesmyn Ward’s novels: Salvage the Bones and/or Sing,Unburied, Sing. Her writing is so beautiful and the struggles of her characters, while highly specific to a time and a place, are also truly universal. I love the books you listed. For me The Book Thief and The Night Circus are both classics to me. Not everyone loves them (which is true for any classic), but they both have huge followings. They tell rich stories and the characters are wonderful. I agree with Melissa - The Book Thief will for sure become a classic. Pfff, this is a hard one! There are some which I HOPE will be classics, like The Night Circus, and then of course which will obviously be classics, like Harry Potter. But that isn’t a very original answer, isn’t it? Maybe some Murakamis like Norwegian Wood? And The Handmaid,# Tale, or is that already a classic? I really think that "Who Fears Death" by Nnedi Okorafor is a dead ringer for a classic. A couple of titles that I think might become classics in the future are The Sun and Her Flowers by Rupi Kaur and The Underground Railroad by Colson Whitehead. I think Harry Potter will certainly remain a classic children’s lit selection. Never Let Me Go by Kazuo Ishiguro, too. So I really thought about this. I went through all of the books I've read that were published after 2001. I thought about how popular and well-received they were. I thought about the timeless messages they contain. This is my list of books I think could be called Classics one day. How to be Alone - Sara Maitland. Individualist millennials' legacy. I’m going to be real. I haven’t read either of these books but the hype that these books get makes me think that The Hate U Give and Children of Blood and Bone will be classics. I haven’t had time to read the but they are for sure on my radar. This may not be some people's choice but I think "Crazy Rich Asians" is bound to be a modern classic. It's a unique view, from characters we don't get to see very often. 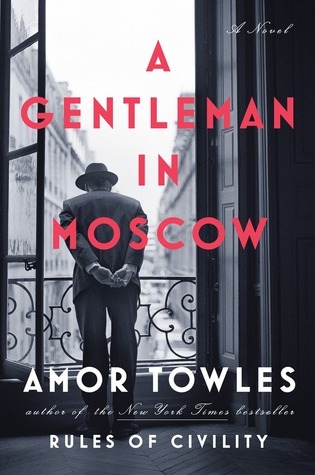 It would be great to see more books like this. I think The Hate U Give by Angie Thomas is such a powerful and important read that will stand the test of time. And hopefully when it becomes a classic, teenagers will be confused as to why there was so much divide between races and police and black people. The Hate U Give, for sure! I really hope The Hate U Give and Two Boys Kissing become modern classics. I think they should be required reading in high school at the very least. The Great Alone could be another one. I say The Nightingale by Kristin Hannah and Miss Peregrines School for Peculiar Children. I have a many books I would like to see become classics at some point in time. I'll just narrow it down to three. I posted on Twitter here: https://twitter.com/reviewsandRaTs/status/1053716007016108033. I also agree with The Hate U Give becoming a modern classic. Such an important book! Probably Harry Potter, to be honest. The Book Thief as well. And then, this is merely wishful thinking of me, but Beautiful Boy by David Sheff (alternatively Tweak by Nic Sheff). Ooh, these are some good suggestions. I'm thinking of Eleanor Oliphant is Completely Fine, There There, and the picture books I Want My Hat Back and We Don't Eat Our Classmates. 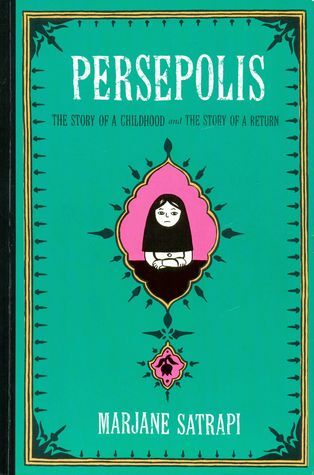 I agree with Persepolis. I also think The Fifth Season will go down as a classic sci-fi novel. It's simply astounding! This is super hard. There are just so many books being published and life is so short and moves so fast... And what lasts isn't necessarily what's best. I can see The Book Thief and The Hate U Give still being taught in 30 years, but I'm not sure about 100. Harry Potter almost certainly will be hanging in there (ala Wizard of Oz, Alice, Narnia), though that started last century. Maybe Hunger Games since terrifying dystopias tend to stay with you (Bradbury, Orwell, Huxley). There are some late 20th century ones I can definitely see people still reading. Beloved almost certainly. And The Poisonwood Bible has a chance. The Hours and The Shipping News as well. The Book Thief, The Hate U Give- may be taught as like the English classics are now, a picture of life when..., Harry Potter for sure. Gone Girl probably although I thought it was terrible. I have lots of ideas! And I love making lists like this! I believe that Kafka on the shore, by Murakami, will be a classic. And I think the same of every book of the Harry Potter'series published in the 21st century! I choose The goldfinch as a modern classic. This is difficult. So many books... The Book Thief, Homegoing, Kindred, Middlesex, The Poisonwood Bible. The Book Thief by Marcus Zuzak. It is already required reading in some school curricula. The Hate U Give by Angie Thomas, as a representative of BLM. And, Harry Potter, obviously, if it hasn't already been labeled a classic. This is a great question and something that I think about a lot! There are several I think will someday be considered classics. It is really hard to tell, but I honestly think those three will some day be classics. There are others that I want to be classics, but I'm not sure if they will be. I think that the Mistborn series and the Stormlight Archive have the potential to be fantasy classics. I think that the Outlander books could be like Jane Austen classics in the future. But I don't know and they're not firm guesses. Same with Game of Thrones. Possibly the Percy Jackson books. I think NEVER LET ME GO by Kazuo Ishiguro will be a classic book ! ITs so amazing! I shared on my IG @readersbeadvised that Ruta Sepetys' Between Shades of Gray will be a modern classic (and when it becomes a movie- that I'm hotly anticipated) you kind of know there's something special about it too. Well, Harry Potter is a sure thing. Other than that I don't really know. Possession by A.S Byatt. Or, at least, I hope it will be defined as a classic! Hmm... these are books in my personal Top Ten. Ha! I think that The Hate U Give will become a classic because of how well it represented its situation in time and space. The Harry Potter series for sure. And I haven't read it yet, but based on everything I've heard and seen surrounding it, A Little Life is definitely a contender! The first books that come to mind are The Book Thief, Uprooted and The Bear and the Nightingale. I think The Hate U Give and The Book Thief are definitely going to become classics! For sure Sing, Unburied, Sing by Jesmyn Ward. And I just finished Bel Canto and I think that could be a contender too. Harry Potter of course!!! And The Book Thief! Joe Abercrombie's First law trilogy and anything by Sir TerryPratchett, Night Watch and Monstrous Regiment being two of my 21st century favorites. I'm just gonna say that the Harry Potter Series has stood the test of a few generations now and I think will remain one a childhood to adulthood classics :) At least that is my hope! My Brilliant Friend by Elena Ferrante felt like an instant classic upon reading it and I totally get the whole Ferrante fever thing. That Neapolitan novel series is great. All the Light We Cannot See by Anthony Doerr. And Ruta Sepetys's Between Shades of Grey and Salt to the Sea. Sleep No More was my first completed readathon title and fully deserving of becoming a #deweysmodernclassics. It's rare for an anthology to appeal so absolutely, but I was enamoured with every one of the six tales collected here.